The new facility is scheduled to open in the second quarter of 2013 and the existing Charlotte, North Carolina, manufacturing space will be fully operational until that time. With the new facility located less than ten miles from the Company’s current location, Shutterfly expects to retain existing employees (approx 250) while creating 400+ new jobs during the next three years. This expansion builds on Shutterfly’s commitment to U.S.-based operations, as the Company maintains all manufacturing domestically. The 300,000 square foot facility in Fort Mill will house a portion of production and customer service personnel for Shutterfly’s four brands: Shutterfly, Tiny Prints, Wedding Paper Divas and Treat. While Shutterfly manufacturing is not new to the eastern U.S., the customer service center in Fort Mill will be the first East Coast customer service presence for Shutterfly. The move will bring new jobs to the U.S. 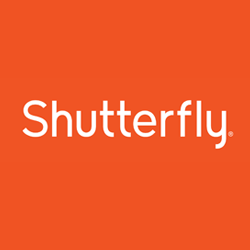 Founded in 1999, Shutterfly, Inc. is an Internet-based social expression and personal publishing company and operates Shutterfly.com, Tiny Prints.com, Treat.com and Weddingpaperdivas.com. Shutterfly was recently named one of the top 25 Best Midsized Companies to Work For by the Great Place to Work Institute. ? (NASDAQ:SFLY – News) or www.shutterfly.com. Shutterfly and Shutterfly.com are trademarks of Shutterfly, Inc.